The Old Age Pension Claim Forms are held in the Public Records Office of Northern Ireland (P.R.O.N.I) reference T550/1-39. These give information mainly from the 1841 and 1851 census returns for the counties of Ulster. 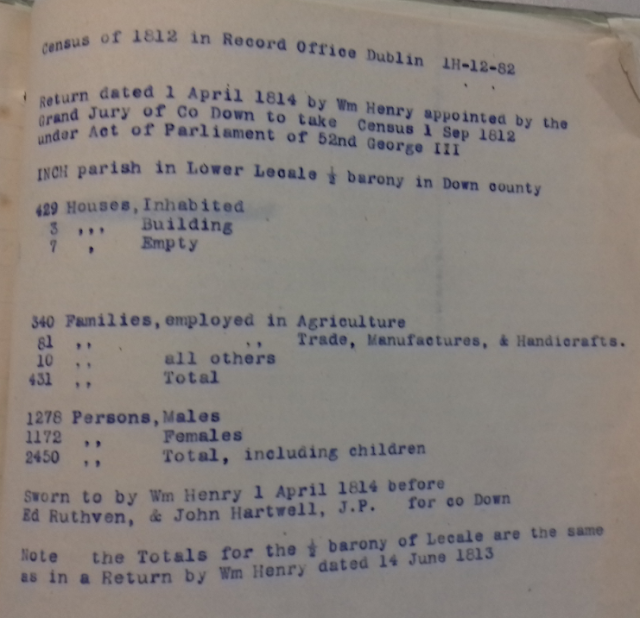 Similar records are held by the National Archives in Dublin although here they are referred to as Census Search Forms and these contain the same essential information, but for the whole of Ireland. 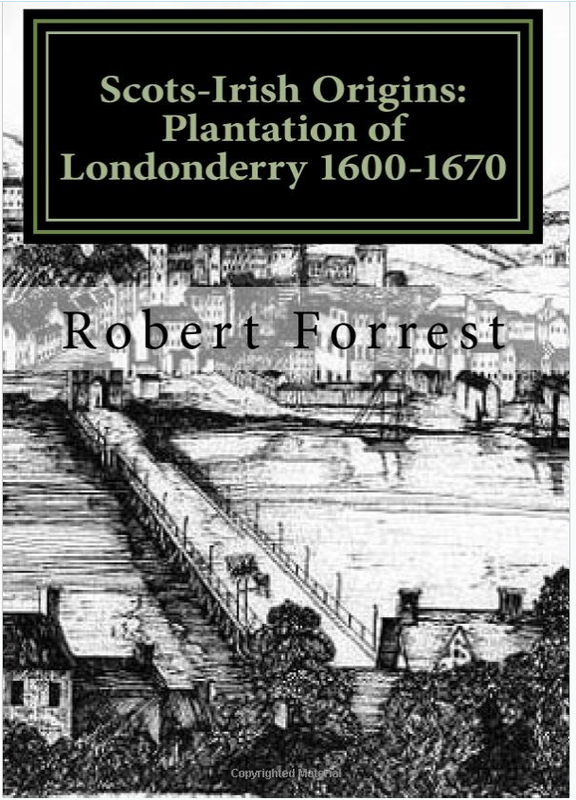 These volumes are packed with vital information on many Ulster families. Primarily, the 1841/1851 census returns were checked for proof of age. But the following sources were also used. 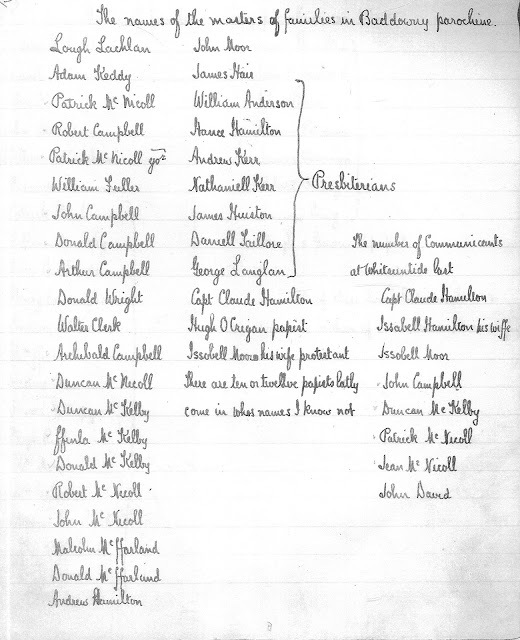 Baptismal/christening records (for all denominations but especially Church of Ireland as these were held in the PRO in Dublin as official records). Note - from the same register please give details of and add record of Mary Jane the sister of the claimant born about 1845 (here the page was cut off by the binding and impossible to read). 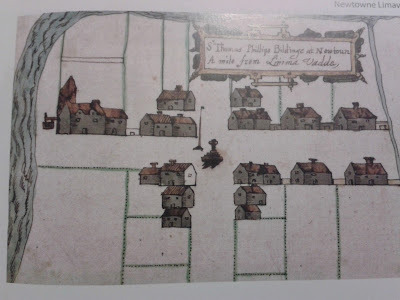 Note: about one thousand parish registers, including those for Balteagh, were destroyed in the explosion in the PRO in the Four Courts complex in 1922 during the Irish civil war. Balteagh is a civil parish close to the town of Limavady.